Meet Simon. Simon Seville is the smartest of the group, possessing an I.Q. just north of Einstein. 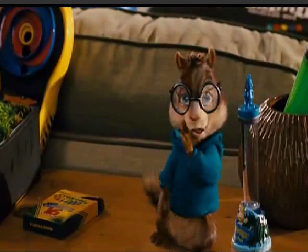 He is the only original chipmunk in the series known to be bespectacled.. Wallpaper and background images in the Simon Seville club tagged: simon seville. This Simon Seville photo might contain chumba familia, familia chumba, sebuleni, ameketi chumba, mbele ya chumba, chumba, kukaa chumba, chumba mbele, and parlor.